Prime Minister, Philemon Yang, representing the Head of State, Paul Biya, has implored compatriots to recognise culture as an element inextricably linked to national unity and emergence. He made the call in Yaounde on November 8 during the commemoration of the 8th edition of the National Festival of Arts and Culture, FENAC. 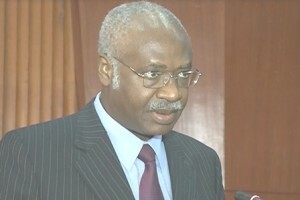 Touched by the impressionistic display of Cameroon’s cultural diversity, the Arts and Culture Minister, Narcisse Mouelle Kombi, reiterated that culture has an indispensable role to play in the emergence of a nation, especially in a country like Cameroon with about 250 ethnic groups and about 300 different languages. “A divisive attitude hinders national unity and provides an atmosphere of intolerance which serves as breeding ground for strife and conflict. But cherishing each other’s culture is a catalyst for emergence,” the Minister stated. Rising Cameroonian artist, IG Cool, dressed in his ‘togho’ traditional regalia from the Northwest Region, thrilled onlookers with his ‘njang’ traditional dance steps accompanied by rap music in his mother tongue, the Ngeumba language. Talking to The Post, this star in the making who hails from Bafut, said in this era of globalisation plagued by cultural imperialism, traditional music is a strategic way to sell the image of our country internationally. “Now that youths are more inclined to Western culture, we can preserve our culture for emergence through Afro-pop music which has a touch of African and Western style of singing and dancing,” IG Cool said. More amusing at the cultural festival was the influx of foreigners gazing at the display of traditional dances from the horses, Toupouri and Baka people of the North and East Regions, respectively. This cultural event was made more glorious by the presence of Cameroonian musicians coming up with creations that marveled the public at the National Museum. One could see cakes and doughnuts made of treated cassava peelings, gorgeous wedding gowns made from dry leaves and portable chairs made of old car tyres. This National Festival which is a renowned event placed under the distinguished patronage of the President of the Republic, Paul Biya, is the demonstration of his commitment as a benefactor of arts and culture and as the patron of artists. According to the Head of State, our cultural policy has as underlying objective to restore its dignity and pride to the Cameroonian people, through the promotion of its culture which is by no means inferior to others. The event which has been hosted in the towns of Douala, Ngaoundere, Ebolowa, Buea, Limbe, Bafoussam, Maroua and now Yaounde, saw the award of medals to some legendary artists. The National Festival of Arts and Culture which continues till Sunday, November 13 will see the performance of a plethora of artists. The election of Miss FENAC 2016 on Saturday, 12 November will be one of the high points of the event.